Lochwinnoch Gulls Galore on Horse Island! Gulls Galore on Horse Island! 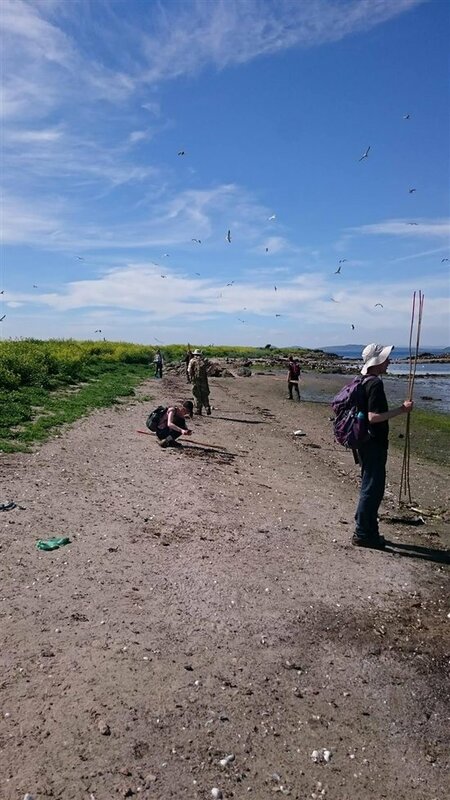 Our volunteer Joanna Lindsay shares her experience of being part of the yearly team surveying RSPB's Horse Island reserve. 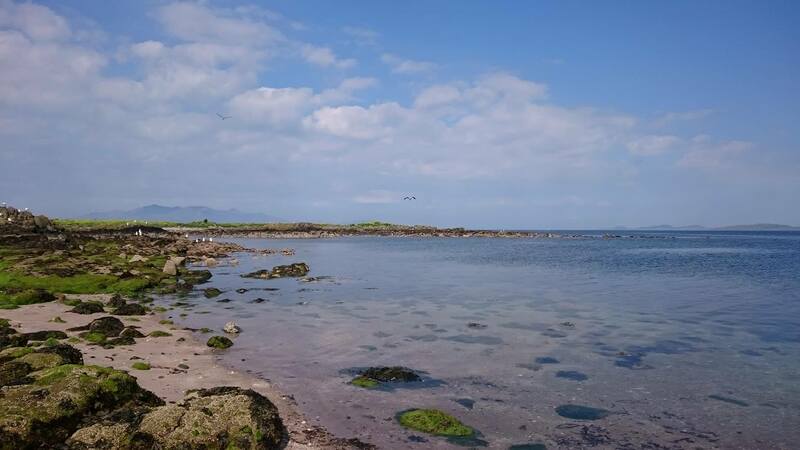 A few of weeks ago at the end of May, when the sun was shining and summer finally seemed to be making an appearance, a small team of Lochwinnoch staff and volunteers set out on an day-long expedition to carry out our annual nest counts on Horse Island, just 1km off the coast of Ardrossan. Contrary to what the name suggests, you will not find any horses on Horse Island, nor do any people live there; this is an island which has been claimed solely by birds! The whole island has been an RSPB nature reserve since 1961 and is also designated as an Area of Special Protection due to its importance for breeding seabirds, including herring gulls, lesser black-backed gulls and eider ducks. 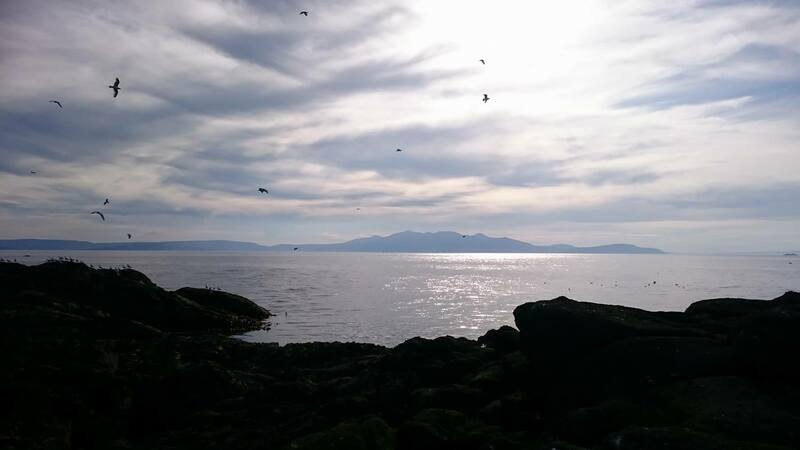 As we approach in the boat around 9:30am, the unmistakable shrieks of hundreds of gulls meet our ears as we watch them circle and swoop en-masse over the island, with the occasional oystercatcher cheeping in too. The sheer number of birds is just astounding – at a glance there seems to be no patch of ground or sky that isn’t occupied by either gulls or their nests! It is the nests of both gulls and eider ducks which are our main focus for the day, and we have the challenging task of covering every single bit of the island to count and record them. Beginning at one end of the island and working our way across, we cover the island very methodically; walking slowly in a straight line and marking our route with wooden canes as we go to avoid surveying the same area twice. At the end of each transect we take a welcome pause to record our numbers, reset our clickers, and off we go again. As we began at the edge of the island, which is mostly rocks and sand, we only encounter gull nests for the first few transects. As we venture inward and begin battling our way through the vegetation – some of which was nearly as tall as me! – we start to come across eider nests too. Eiders are less abundant on the island than gulls, though there are still plenty of them, and their nests are often trickier to find as they are usually well-hidden in the vegetation. Female eiders also have a tendency to sit on their nests, unlike gulls, so every now and then there is a flurry of excitement when an unseen female is disturbed from her nest and comes fleeing noisily out of the undergrowth! When this happens, we always make sure to cover up the nest again so it will be hidden from potential predators. It may have been a long, tiring and sweaty day, but all was worth it in the name of science and conservation; our efforts produced an impressive total count of 184 eider nests and 2146 gull nests! It was also calculated that roughly 42% of the gull nests belonged to lesser black-backed gulls and roughly 58% were those of herring gulls. All in all, a successful trip! Well done team!